I bought a Straits Time from 7-11 today and said to the shop keeper, it is fortunate that news paper price remains unchanged, or else it gets more expensive to stay inform. She says, “It is still too early to tell.” I think she is right. 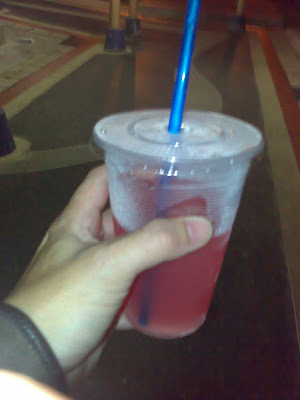 Evening, I got this drink from nearby shop, which, by the way, has not increase a single cent since the “global phenomena” inflation kicks in. I urge him to support the gahmen market, at least increase a bit. Fervent supporter, just smile at me.